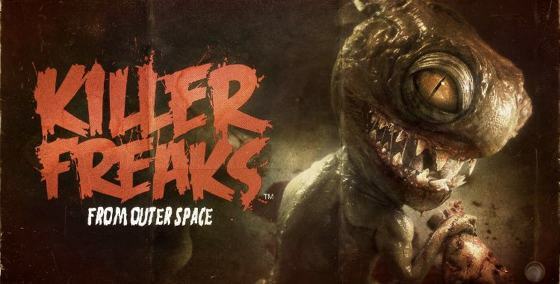 Guillaume Brunier, a Ubisoft producer, shared that the team working on Killer Freaks From Outer Space did not even see the Wii U controller until the day before E3! The Killer Freaks team worked with the early Wii U dev kits before E3, but even we hadn’t seen the actual device until a day before the show. I’m not sure what to be more impressed by – Nintendo’s absolute secrecy with the device, even towards one of their largest third-party supporters; or the fact that Ubisoft pulled off one heck of a show with the hardware. Either way, they deserve some major props for this. It could also explain why the presenters had a hard time playing the demo during Nintendo’s developer roundtable. I had a terrible feeling the Wii U tablet controller may be difficult even though it’s very early. They didn’t have a hard time with the controller, and it’s because they didn’t that’s why their roundtable was so laudable. rolls up newspaper* Bad Nintendo! No! Bad Bad Nintendo!! They must’ve had a version with some sort of Tablet beforehand, that multiplayer mode didn’t just pop out of thin air. That’s pretty good. I hope this game turns out well.